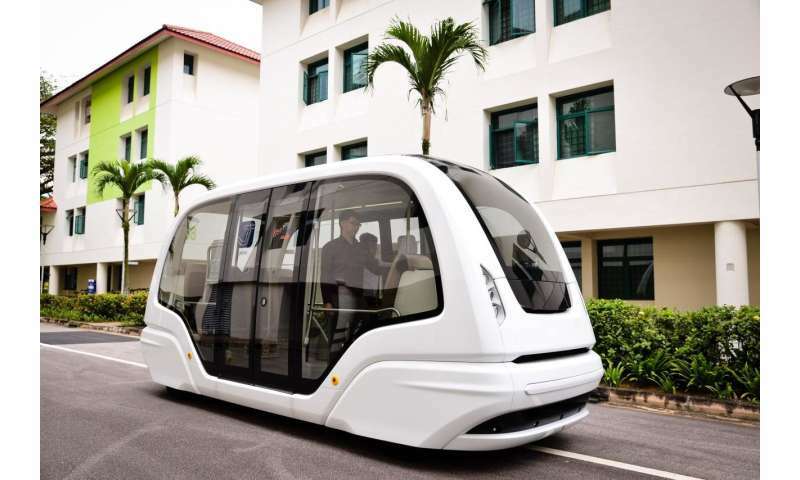 Nanyang Technological University (NTU) with SMRT Services and 2getthere, is striving to make the NTU campus fully automated with the help of Group Rapid Transit (GRT) autonomous vehicles (AV). Nanyang Technological University (NTU), Singapore has recently announced that it has come into a collaboration with SMRT Services and 2getthere, so as to make full use of them and their resources to make the NTU campus fully automated with the help of Group Rapid Transit (GRT) autonomous vehicles (AV) which they believe to complete by 2019. Recently, the three parties have signed the Memorandum of Understanding (MoU) at a ceremony which paves the way for the GRT to be integrated into NTU’s transport network. The three parties are also expecting to expand this technology to the campus of JTC’s CleanTech Park. The new collaboration between the two brands gives an idea of how Singapore is going to progress in the coming years with the NTU’s goal of developing cutting-edge transport solutions. The collaboration will also include the research for the improvements in the automotive vehicles so as to improve the technologies and increase the use of AI( Artificial Intelligence), developing advanced sensors and sensor fusion algorithms, and improving fleet management technologies. The GRTs will be tested on the campus of NTU later this year in different phases carrying almost 200 to 300 people on a daily basis from different conference rooms, lecture halls and all around the campus. The GRT had undergone preliminary tests along with a 350-meter route between two NTU halls of residences since November last year. During the trials, close to 4,000 passengers were ferried between the two stops. The GRT is part of the Mobility-as-a Service testbed, a collaboration between NTU, JTC and SMRT last September. Jalan-Jalan, a soon to be mobility platform consisting of all sorts of modes of transport systems like shuttle buses, bike sharing systems, e-scooters and e-bikes, and the autonomous GRT, integrated together. Jalan-Jala, developed by mobilityX, helps improving connectivity and traveling within the NTU’s campus and JTC’s CleanTech Park in Jurong Innovation District. Jalan-Jalan is a smartphone application which received its strong support during its pilot run between NTU’s campus and JTC’s CleanTech Park from last August. The app was used to book over 67,000 trips for e-scooters, clocking a total mileage of over 80,000 kilometers. Currently, the app is serving 16 stops on the NTU campus and CleanTech Park area and is soon expected to increase stops and manage more mobility options based on users’ feedback and test results. Wow, great article. All information is very helpful us.